“There is not going to be any short-cut to preserving our own freedom or securing the peace fo the world through international cooperation of free and peaceful nations… …I am confident that the American people have never been more strongly united in their determination to preserve our own freedom and to aid friendly nations… …Our actions in the days ahead must reflect that unity and I am confident that all of you will do your utmost to see to it that a united American people overcome the obstacles and dangers which lie between us and our common goal of a just and lasting peace.” TRUMAN, Harry S. Typed Letter Signed. Washington, DC, November 20, 1950. A substantial letter with excellent content from President Truman addressed to Dwight R.G. Palmer, an executive of the Democratic National Committee. In this remarkable letter President Truman makes a forceful and earnest request for support in building a secure and lasting peace in the early post-war period. This letter reflects what historians regard as President Truman’s greatest achievement, i.e., his success in building a secure and stable peace after the Second World War. FIRST KELMSCOTT PRESS EDITION, ONE OF ONLY 250 COPIES ON PAPER (from an edition of 258). Beautifully printed in red and black in Golden type. Exquisitely illustrated by William Morris with woodcut title page, first page (borders), and decorated initials throughout. Hammersmith: Kelmscott Press, 1895 [issued 1896]. Small quarto, original limp vellum, yapp edges, gilt spine title, green silk ties; uncut. One tie loose, else fine. FIRST EDITION, SIGNED BY ANNIE LEIBOVITZ. “I hate the word ‘celebrity.’ I’ve always been more interested in what people do than who they are, and I hope that my photographs reflect that. I have the opportunity to work with people who are the best actors, and writers, and athletes, and dancers–a broad spectrum. I feel like I’m photographing people who matter, in one way or another. I’m photographing my time.”–Annie Leibovitz, in an interview with Literal Magazine Folio, original photo-pictorial boards, original glassine. Minor tears at extremities of rear glassine wrapper. A lovely copy. THIRD EDITION of William of Auvergne’s meditation on the subject of prayer. This work was first published in 1491 and again in 1492. Octavo. 152 printed leaves. Beautifully rebound in (early) printed leaf over boards with vellum manuscript leaves on paste-downs. Printers device on title and verso of final leaf; rubricated in red and blue. Small hole to margin of first few leaves; occasional light dampstaining to margins; a superb and quite desirable copy. "It’s the gas station, that’s the important thing"
“The photography by itself doesn’t mean anything to me: it’s the gas station, that’s the important thing” An exceptional private collection of the artist books of Ed Ruscha. First editions, many signed. First edition of Puzo’s masterpiece with all first issue points. Octavo. Original black quarter cloth, original dust jacket. Book fine, dust jacket uncommonly bright with only trivial wear to the extremities; small chip at the back top corner of the dust jacket. An exceptional copy. "A girl who had everything...until she lost her life"
First edition superbly bound in modern morocco. She was young, stylish and beautiful. A girl who had everything…until she lost her life. Hercule Poirot recalled an earlier outburst by a fellow passenger: “I’d like to put my dear little pistol against her head and just press the trigger.” Yet in this exotic setting nothing was ever quite what it seemed. A fine copy. First edition of perhaps Hemingway’s finest novel, in the first issue dust jacket. 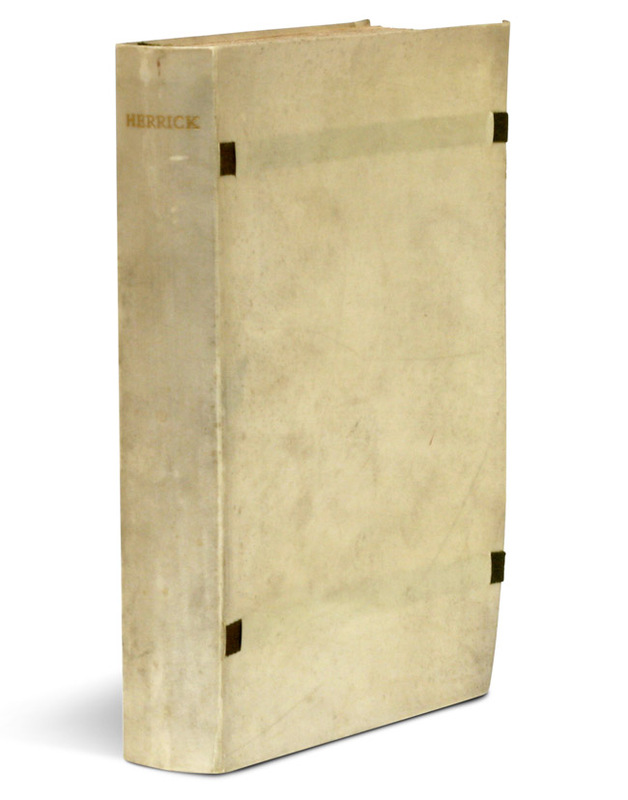 Octavo, original beige cloth, original dust jacket. Book about fine, dust jacket uncommonly bright with very minor shallow chipping to spine, few small creases to extremities. Overall an excellent copy. First edition of Ayn Rand’s magnum opus and certainly one of the most influential books published in the 20th century. A superior copy with the original dust jacket, in the original green cloth. Near fine with text remarkably clean and text block solid (rarely the case with this stout octavo), small spot to front board; dust jacket bright and clean with few small creases and tiny chips; spine lightly toned; seldom seen in such nice condition. All first issue points present. FIRST UK EDITION, translated from the French by Beckett. “Voted the most significant English language play of the 20th century in a British Royal National Theatre poll of 800 playwrights, actors, directors and journalists… Beckett’s naked play about two tramps waiting for Godot has tapped into our 20th-century public consciousness. It seems to express our deepest fears and our deepest knowledge of ourselves and our predicament” (Norman Berlin). “The first production of Beckett’s own English translation, directed by Peter Hall, was staged at the Arts Theatre Club in London in August 1955. Kenneth Tynan’s and Harold Hobson’s reviews made it into an intellectual hit which has since been regarded as having transformed the British stage” (Dictionary of National Biography). Preceded by the first edition (1952, in French) and the first American edition (1954). Octavo, original mustard cloth, original dust jacket. Book near-fine with slight lean; dust jacket with light edgewear, toning to top of rear panel. FIRST COMPLETE EDITION OF AESCHYLUS. With the editio princeps of the Agamemnon. “An excellent and beautiful edition… It is a much more valuable impression than either of its precursors.. what enhances the value of the edition is, that the Agamemnon is published in it, for the first time, complete.” -Dibdin, An introduction to the knowledge of rare and valuable editions of the Greek and Latin Classics Quarto. Early full tree-calf skillfully rebacked, spine in six compartments, red leather label. Gilt dentelles, marbled endpapers, all edges gilt. Text generallly clean throughout; repaired tear to the lower portion of title page. A handsome copy of an important and distinguished edition. FIRST EDITION, hardcover issue, SIGNED BY MAMET on dedication page. Winner of the 1976 Obie Award and the New York Drama Critics’ Circle Award for Best American Play of 1977; made into a 1996 film starring Dustin Hoffman. Octavo, original yellow cloth, original dust jacket; custom half-morocco box. A FINE COPY. Complimentary shipping on all orders within the domestic US.